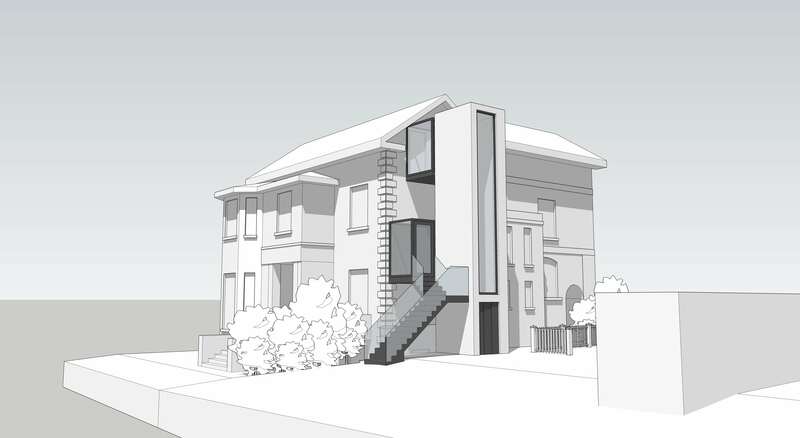 Hoban Design were approached by private clients seeking an external lift in order to access their third floor flat. The existing large Victorian structure houses four separate flats, each occupying roughly one floor. 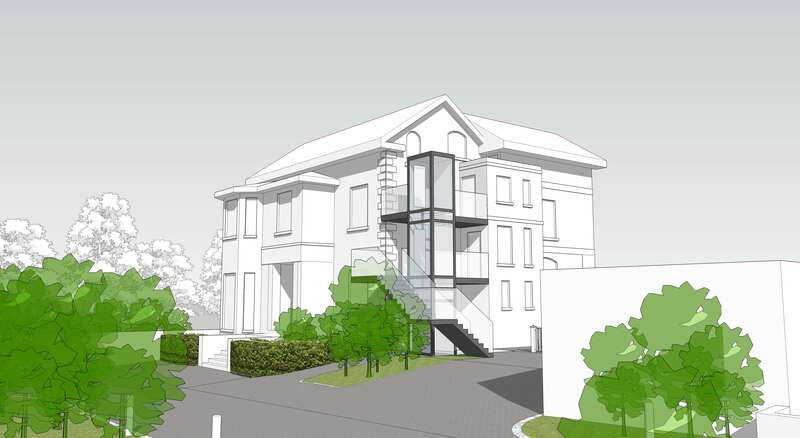 The requirement is to have wheelchair access or restricted mobility access to two of the flats, with access to the other two flats to be considered. 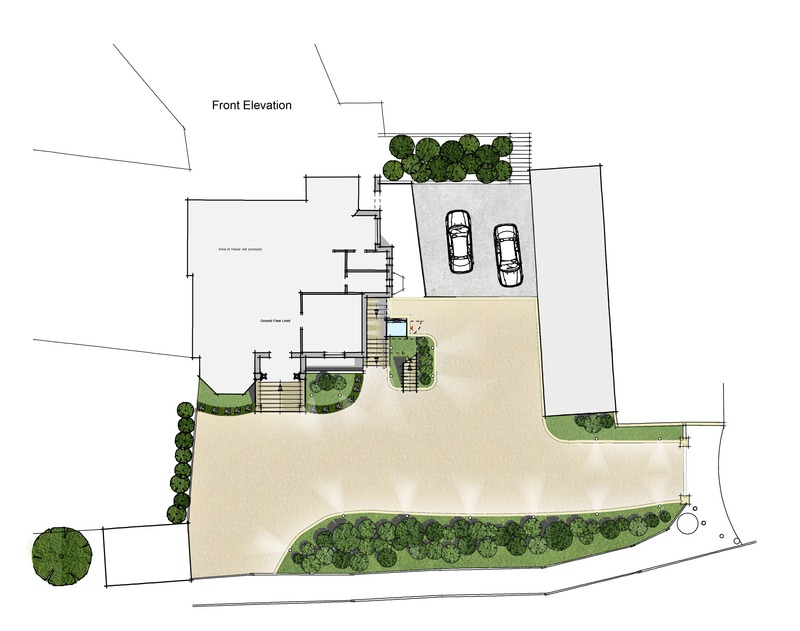 Hoban Design drafted a series of proposals for the lift, all in accordance with building requirements and regulations.